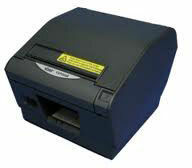 Star TSP800II - TSP847IIL-24 GRY, thermal, 2 color, cutter/tear bar, Ethernet interface. Color: Gray. Requires power supply (Part# 30781753), not included. Also known as TSP847IIL-24GRY. Excellent communication with Greg. Product was supplied exactly as expected. The Star 37962130 is also known as Star Micronics	STA-37962130	.